GSCID Chairman, Gregg Huntingford, with retiring GSCID CEO, Anthony Davies, (right) at a farewell function in his honour. At a farewell breakfast function yesterday for retiring CID stalwart, Groote Schuur Community Improvement District (GSCID) CEO, Anthony Davies, at Pinelands Grove, Gregg Huntingford, GSCID Chairman, paid tribute to a man who started his CID career almost 20 years ago and is the longest serving CID Manager in Cape Town. In 1998 Davies was instrumental in founding the Claremont Business Association, the precursor to the present Claremont Improvement District (CIDC). He took over the helm as the Executive Manager in 2001 and was part of the formation of that now well established CID. “Working with doyens of the property industry, he did much to improve the urban fabric of what is a key node in Cape Town,” said Huntingford. During Davies’ tenure, the Claremont Boulevard was opened, providing a much needed link for Claremont and relief for a heavily burdened main road. 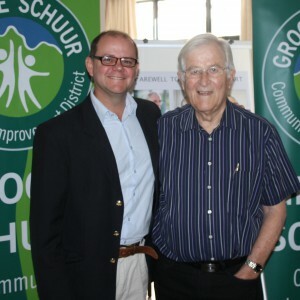 With the passage of time, Davies was once again instrumental in the formation of the Groot Schuur CID in 2010. He helped shape its boundaries and ensured that the necessary stakeholder support was obtained to give birth to this vibrant organisation.. “He succeeded in creating an operation dedicated to ensuring that all major stakeholders were catered for and that the aspects of ‘town and gown’ could flourish, whereby students and businesses could thrive in a strong urban fabric,” added Huntingford. Claremont CID was one of the first CIDs to be established in Cape Town. 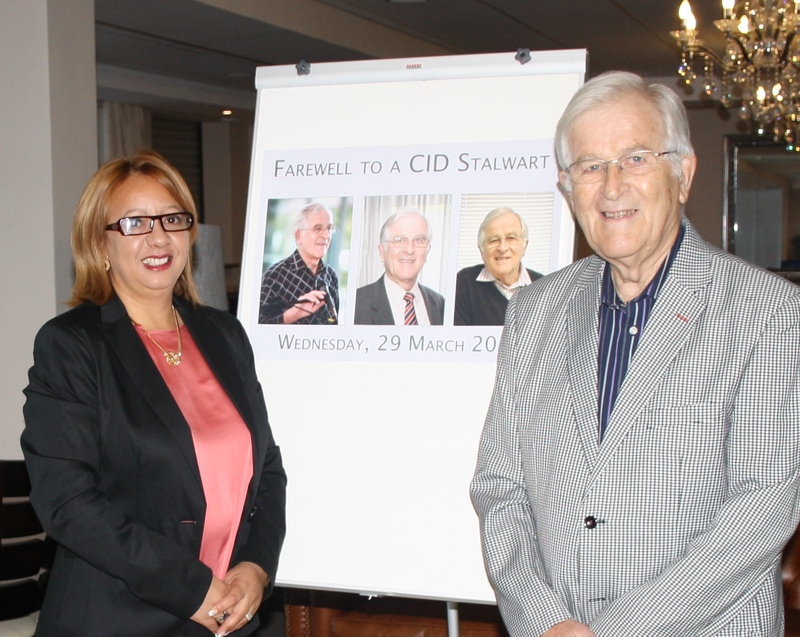 It was thus with little surprise that the GSCID took shape with Davies working in close conjunction with Neil Fraser (former Chairman of the GSCID), who himself had been instrumental in the first implementation of CIDs in Johannesburg. Davies’ tenure has been marked by longevity and dedication, and provision of key leadership to his formidable GSCID team, almost all of whom are still with the GSCID today. He was also closely involved in the Little Mowbray and Rosebank Residential CID which has been operating very successful since September last year. Davies is succeeded by Nina Farrell, the newly appointed GSCID General Manager with effect from 01 April 2017. Retiring GSCID CEO, Anthony Davies, (right) with newly appointed GSCID General Manager, Nina Farrell.